[Instant, Efficient Inflation] Spend less time decorating and more time celebrating! The state-of-the-art 600W motor is ultra-powerful and will pump up balloons in the blink of an eye. Bottom foot pads prevent slips, and the cable compartment hides power line inside. It's safe, tidy, and space-saving. [Dual Operation Modes] Convenience is the name of the game. 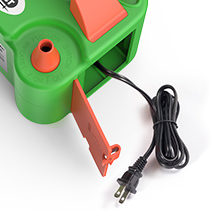 That's why the Dr.meter Electric Air Pump boasts two different working modes! Automatic mode provides quick inflation, while semi-automatic mode lets you control the airflow. [Extra-long Nozzle Tips] Small balloons? 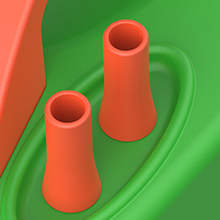 Extended nozzle tips can handle them all. Simply screw in the long tips. You can inflate two balloons at once! [Parties, Weddings, and More] Why limit the fun to birthday parties? This balloon pump can inflate balloons for weddings, baby showers, bachelorette parties, Christmas, Easter, events and promotions, or just because. [Convenient Carry Handle] Take the fun with you wherever you go. Thanks to the lightweight (3lb) body and the wide carry handle, this air blower is as portable as they come! Planning a party? Forget sore cheeks, dizziness, and gasping for air while blowing up all those party balloons. Let the Dr.meter Electric Balloon Pump do the hard work for you. This super-efficient pump will inflate hundreds of balloons in mere minutes! 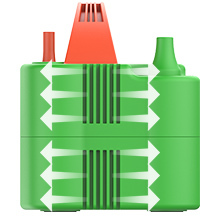 Use auto mode for quick and easy inflation, or switch to semi-auto mode for complete air flow control. You¡¯ll be able to inflate two balloons at the same time! We¡¯ve also included two free extended nozzle tips for balloons with narrow openings. 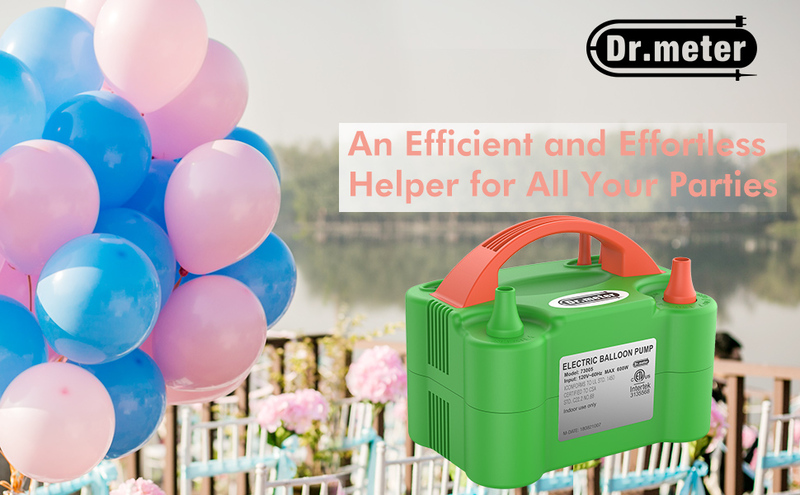 The Dr.meter Electric Air Pump is just what you need for birthdays, weddings, parties, Christmas, Halloween, Easter, receptions, grand openings, and so much more. 1.This air pump can only fill round balloons. Do not use this air pump to inflate large objects like air mattresses or pool floats. 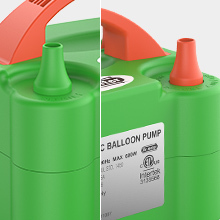 2.Do not use this air pump to inflate helium or hydrogen balloons. Both auto and semi-auto working modes are available for your convenience. Thanks to two extended tips, you can inflate different sized balloons on one unit. It keeps the power cable inside, space saving, safe and easy to carry without clutter.